Q. Where does the Clutha Gold Trail run from and to? A. The Clutha Gold Trail runs between Lake Roxburgh Dam in Central Otago and Lawrence in South Otago. 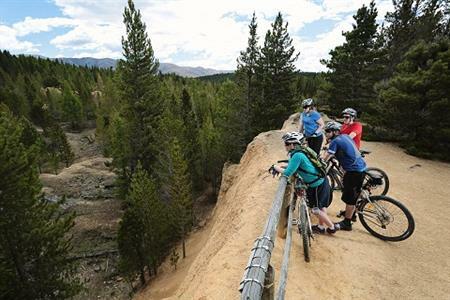 At the northern end it links with the Roxburgh Gorge Trail which in turn joins the Otago Central Rail Trail, creating over 200 km of exceptional riding and walking opportunity. A. The Clutha Gold Trail runs down the true left or eastern side of the river. The first stage from Commissioner Flat to Beaumont mainly runs beside the river. The remainder of the trail mainly follows the defunct railway corridor from Beaumont to Lawrence. The Roxburgh Rail Branch from Milton closed in 1968. A. 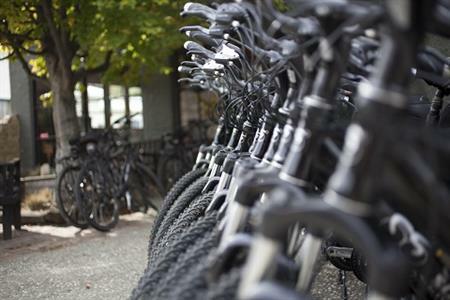 People with a reasonable fitness level and cyclists should have some biking experience. 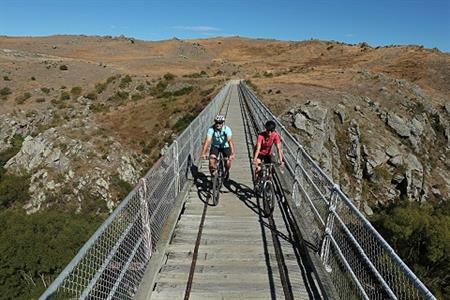 The Clutha Gold Trail has been built to a similar standard as the Otago Central Rail Trail and is graded level 1-2. The Millers Flat to Beaumont section runs through a rugged and relatively isolated landscape but the rest of the trail is close to people and towns. The slightly steeper gradients are on the Beaumont to Evans Flat section of the trail. Walkers and bikers both able to use the trail, there is good visibility. Dogs and horses will not be permitted on the trail because it passes through private rural land and across DOC marginal strip. Q. What is so special about this area? A. The Clutha Gold Trail presents a combination of rural heartland New Zealand and some rarely seen but stunning scenery as it travels from the dry continental climate of inland Otago to the temperate and productive farmland of the Otago lowlands. It also provides a strong historic perspective, linking Lawrence, the site of the original gold discoveries in 1861 at Gabriel’s Gully with the later and larger gold fields of Central Otago. Evidence of mining activity is common and provides a real sense of linking to a time long past. One potential translation of the Mäori name Mata-au means “murmuring waters”. Maori were the first to use this route for travel from the coast. Between Roxburgh and Beaumont the visitor has the opportunity to see at close hand New Zealand’s largest river in its original state. This is a wild river whose fast flow, major whirlpools and strong currents as it moves between rocky outcrops make it truly special. On the section between Beaumont and Lawrence the visitor will have the chance to go through the 434 metre tunnel under the creatively named Big Hill. Q. How long will it take to do the trail? A. 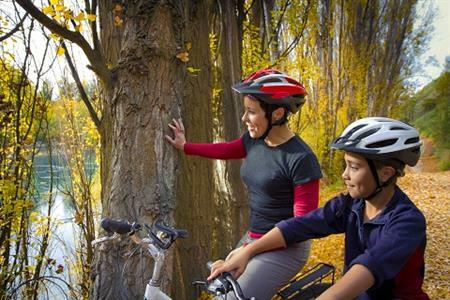 To do the trail as one cycle trip, 2 days should be allowed. 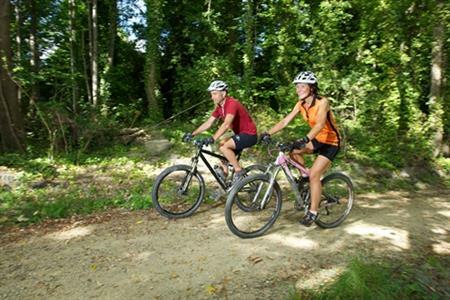 The trail can also be divided into sections of around 20-25 kilometres. Accommodation is available in Lake Roxburgh Village, Roxburgh township, Millers Flat, Beaumont and Lawrence. People looking to walk the Clutha Gold Trail should plan for a 2-4-day trip depending on fitness levels. Q. 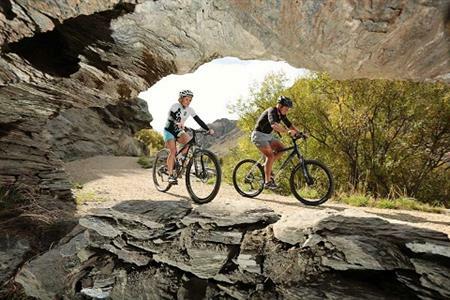 What facilities are available on the trail? A. Food and water available at Roxburgh town-ship, Millers Flat, Beaumont and Lawrence. All rubbish must be taken off the trail. Q. How far apart are the toilets? A. There are toilets at Lake Roxburgh Village opposite Commissioner Flat, Roxburgh town-ship, Pinders Pond, Millers Flat, Beaumont and Lawrence.